Wellness in the Swiss Alps is no secret. 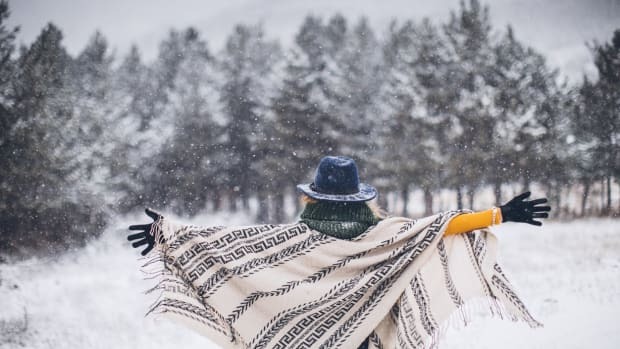 Renowned worldwide for its healing thermal waters, medicinal alpine herbs, pristine air quality, sparkling glaciers, spring water, and car-free villages, it&apos;s become a mecca for spagoers. There’s a purity to the Swiss Alps where wellness rituals are seamlessly embedded into its very lifestyle. 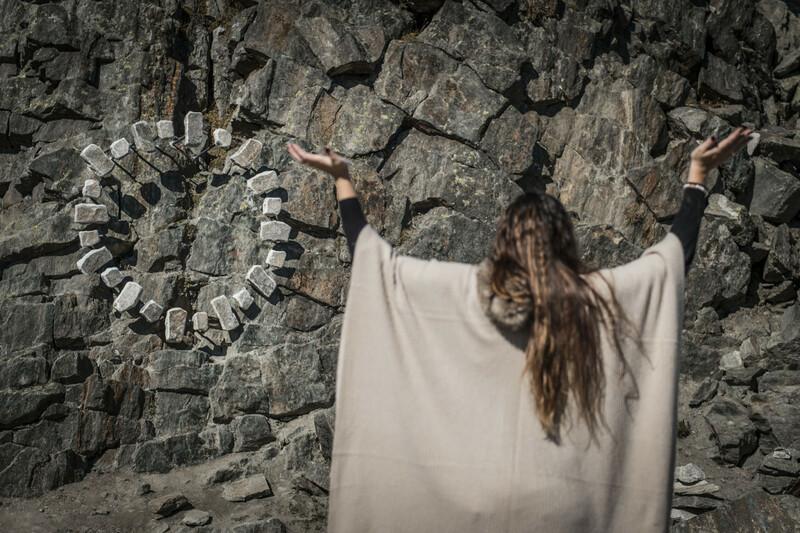 Imagine an alpine wonderland of positive energy vortexes, outdoor spas, massages with glacier views, and entire villages dedicated to wellness. 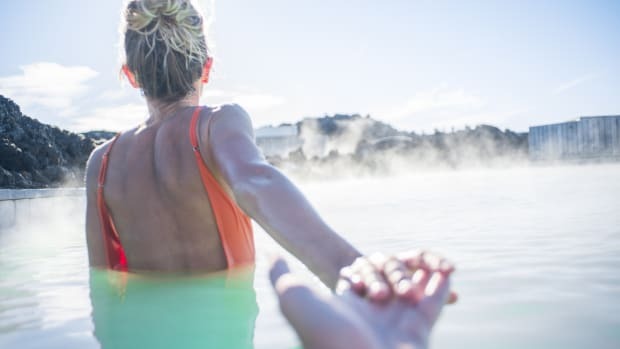 That&apos;s the Swiss Alps wellness experience where health enthusiasts are flocking to these five destinations to rejuvenate their mind, body, and soul. In this traditional alpine village, soaking in its thermal springs have been famous since Roman times. 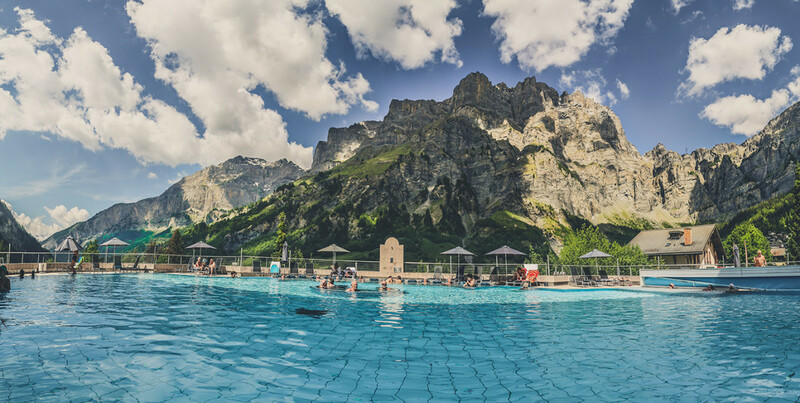 One of Switzerland’s ten designated wellness destinations, Leukerbad is the largest spa and wellness destination in the Alps. Every day nearly four million liters of mineral enriched healing water flows from sixty-five springs into thirty thermal pools. Hotel le Bristol has its own thermal spring that feeds a private pool filled with therapeutic mineral enriched water to relaxes the mind and muscles. The hotel is also famous for its curative apricot oil massage. While other spas and clinics in the village offer more than three hundred natural wellness treatments. International spagoers come to soak in Leukerbad’s famous healing water. 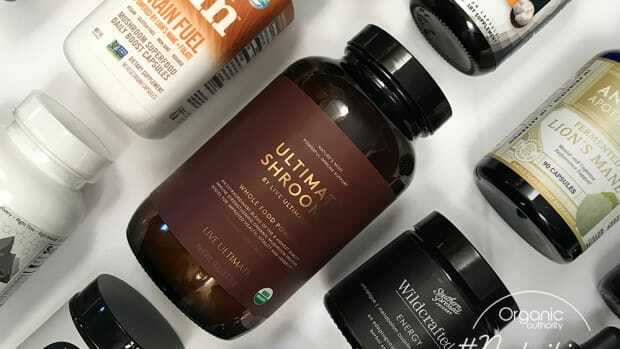 Both for general wellness and prescribed treatments to heal a diagnosis at its medical clinic. Either way, its rejuvenating alpine lifestyle will uplift and re-energize you. For centuries villagers in the sun-drenched high plateau of the Aletsch Arena have called the area a “magical source of energy”. Today, technology has proven what its ancestors have always known. The glaciers above the car-free traditional villages of Fiescheralp, Bettmeralp and Riederalp are vortexes of positive energy. A quick cable car ride up brings you to the magnificent Aletsch Glacier where you’ll find the marked vortexes measured by natural energy specialist Philippe Elsener. He says, “The ridge... is a site of special natural powers: it reconstructs and strengthens… it allows humans and animals to ‘recharge’." Elsener compares the energy sites with meridians on the body. When we come into resonance we can “achieve a triad of body, mind, and soul" and experience such bliss you just might be inspired to yodel. Indulge in this positive live-giving magnetic energy with the Vista Points Tour on the UNESCO-protected Great Aletsch Glacier. 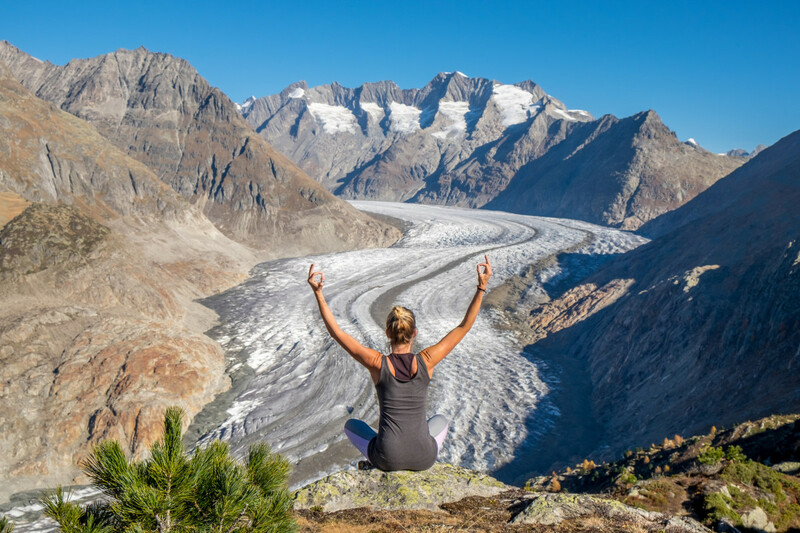 Or join a Conscious Breathing Hike, lead by a qualified breathing specialist to connect with your inner-self while taking in the awe-inspiring 360-degree panorama and immense silence of the Great Aletsch Glacier. Yoga and Forest Bathing in the ancient Aletsch Forest is another popular way to relax, rejuvenate, and re-harmonize your body. The experience begins with breathing and meditative exercises through the forest with a gentle introduction to Shinrin-yoku (forest bathing) followed by a yoga lesson in the woods. Just being outdoors in Saas Fee feels like a day at the spa. With three hundred days of sun with pure air, it’s a car-free village that is entirely powered by green energy. 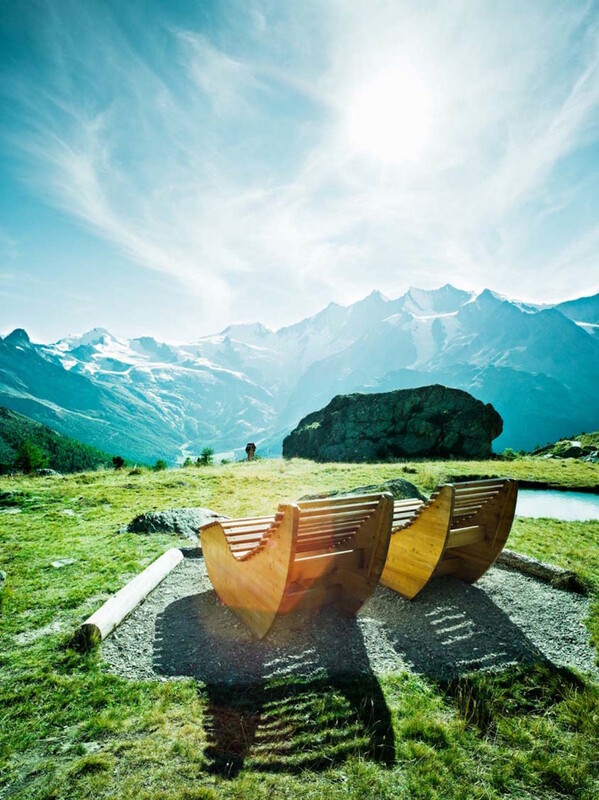 The surrounding mountains stun and are outfitted with kilometers of Pleasure and Wellness trails featuring chill out areas with hammocks and invigorating Kneipp wellness courses of pure glacier water that includes a treading pool, water stream, barefoot path, arm bath, and rest area. Or if you prefer an indoor spa experience opt for Alpine Hay Body Back Treatment at the Ferienart Hotel. Like a hot hay sauna, you&apos;ll sweat out impurities, relieve tension, and invigorate your sense of wellbeing. Before or after treatment, enjoy the spa&apos;s expensive wellness area with a Valais quartzite grotto, meditation crystal grotto, tepidarium, caldarium, laconium, and aroma pavilion. Famous for big mountain skiing, Verbier and nearby Orsières is also a popular wellness destination. When you need to escape, stay at Montagne Alternative. A unique integrative hotel and wellness concept that provides a total reprise from stress. Join an upcoming retreat such as Pulseology and Your Health. 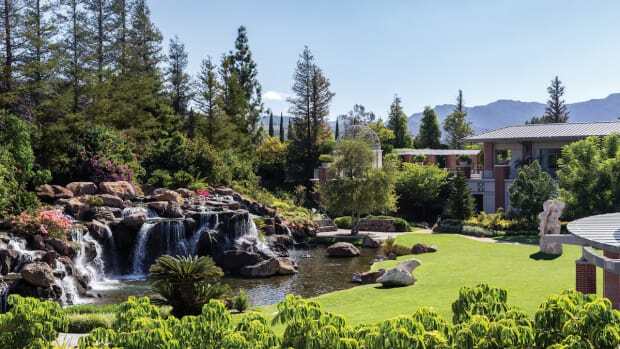 Or personalize your getaway from its menu of wellness services including outdoor Tibetan bowl sound therapy with sweeping views of the valley. 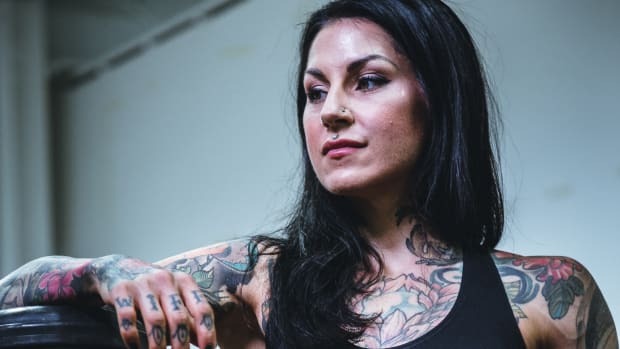 An integral part of wellness, besides relaxing, of course, is breaking through limiting beliefs and expanding beyond what you thought was possible. There’s no better way to do this than challenging yourself physically. 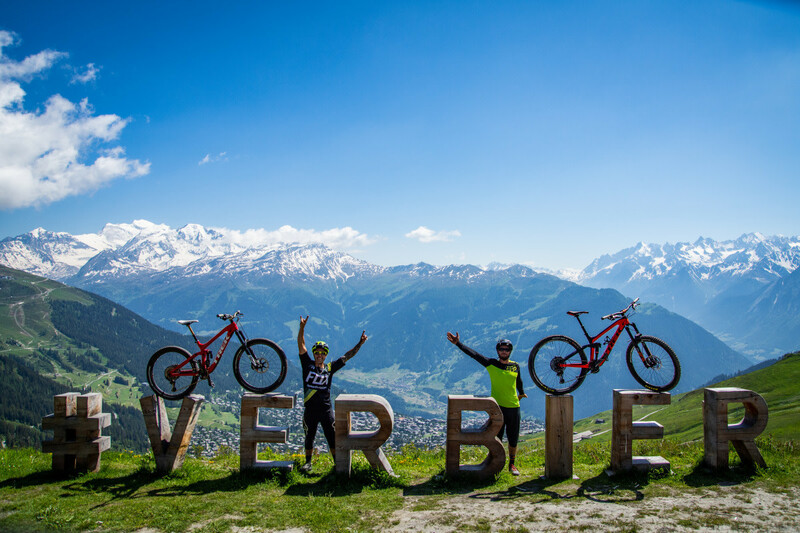 Verbier is the perfect place to do that. 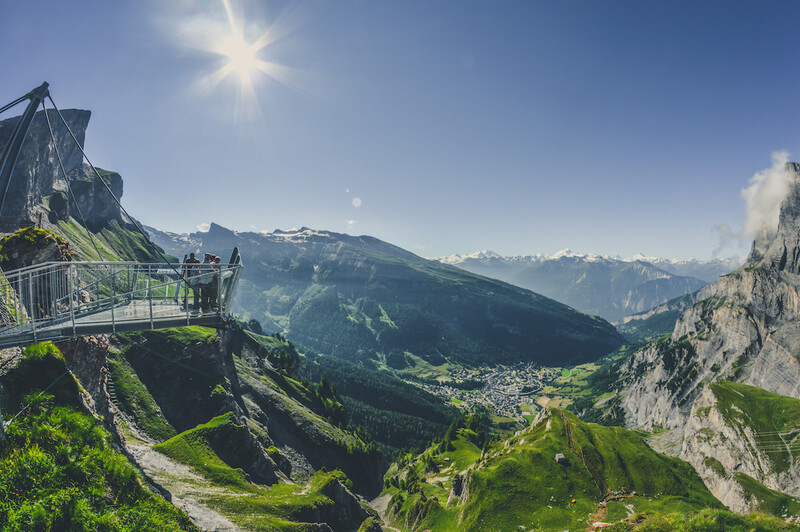 Whether it’s a guided Via Ferrata course in the stunning Mauvoisin Gorge, single track mountain biking, or completing the Ariel Walkway with a free-fall jump, zip wires - your confidence will soar. 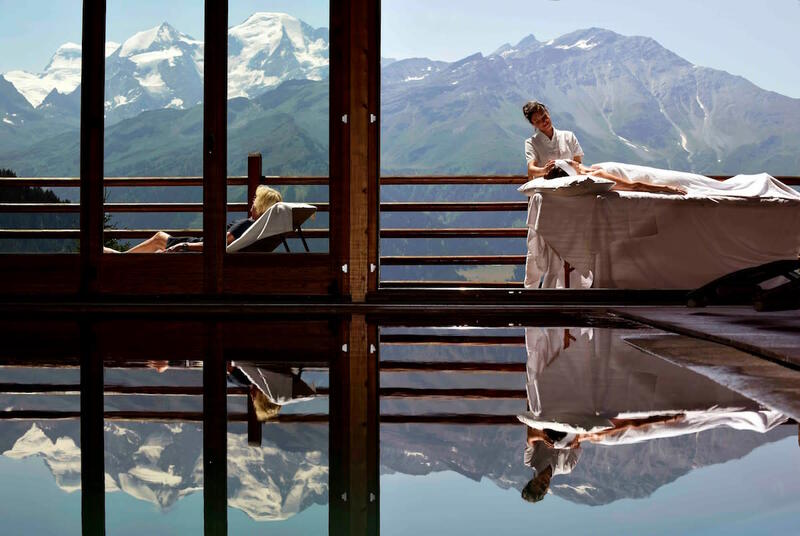 After breaking through boundaries, reward yourself with an outdoor massage and glacier views at Le Chalet d&apos;Adrien. 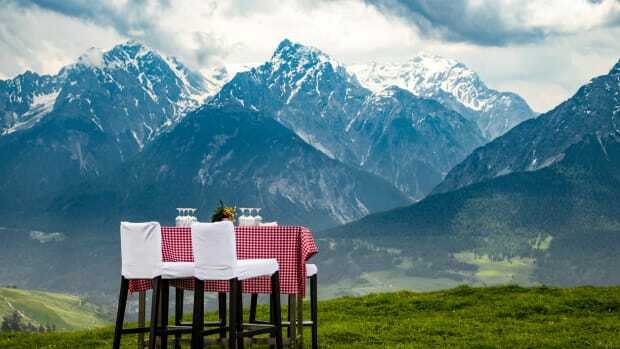 Or take an alfresco alpine yoga class with Wholly Cow at one of their stunning high mountain destinations. With Verbier&apos;s Infinite Playground VIP Pass, wellness doesn&apos;t have to be expensive. More than twenty-five wellness and cultural activities are absolutely free or greatly reduced in price. Imagine being up close and personal with the Matterhorn after the crowds take the last mountain train down. You&apos;ll get the Swiss Alps all to yourself when you stay at Riffelhause 1853. Soak in the outdoor whirlpool and sweat out all impurities in its panoramic sauna. All the while, feeling on top of the world. Because, quite literally, you are. 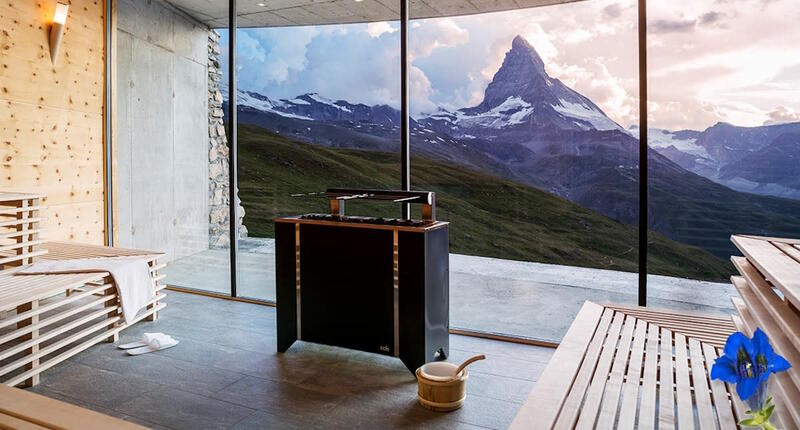 While staying in Zermatt&apos;s charming village, the Park Hotel Beau Site offers a sauna and relaxation landscape along with a full menu of holistic massage treatments. 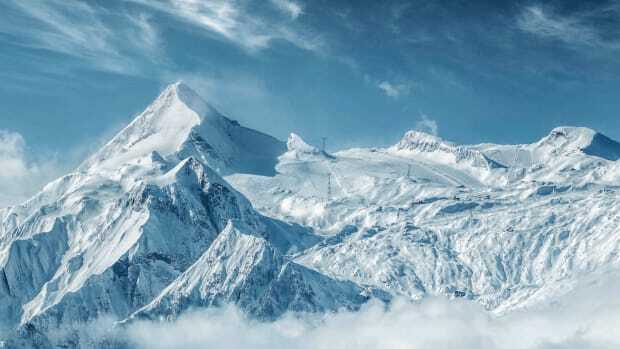 But you won&apos;t&apos; be in the village long because the Matterhorn Glacier Paradise awaits. 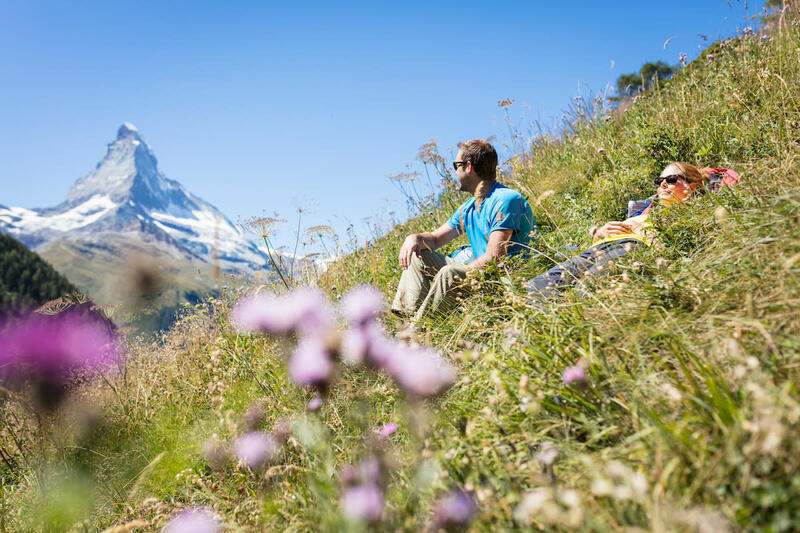 The purity of the air and adrenaline of the Breithorn Glacier Tour peaking at 4146 meters is awe-inspiring and what wellness memories in the Swiss Alps are made of.